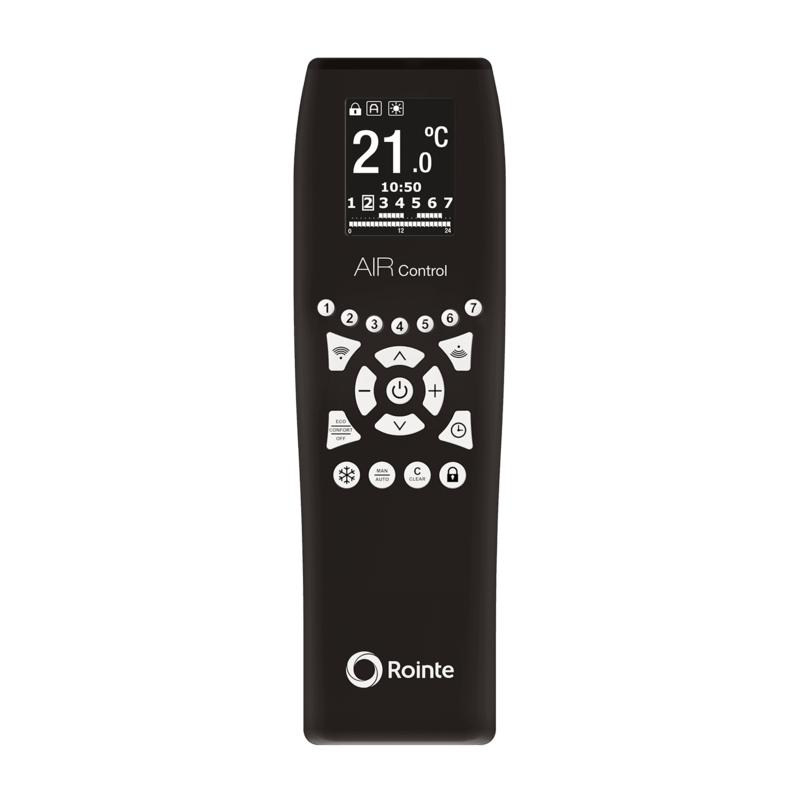 The Rointe ACMIB120 Infrared Remote Control system integrates in one device which can control all products that make up the KYROS Series heating systems. Its ergonomic design is perfectly suited to any user and has easy to use keys. The AIR Control is interchangeable between the K and Kyros range. 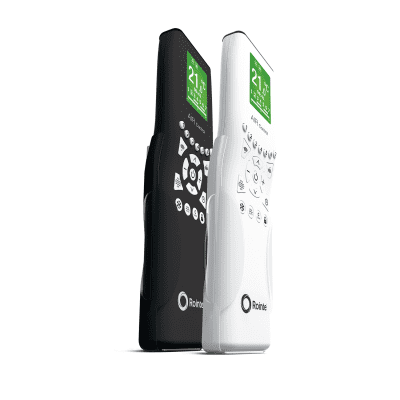 The AIR Control remote control comes with a transparent wall-mounted support cradle with a modern and elegant design, which looks good both in the home or workplace. This allows the remote control to be stored always in the same place, avoiding loss or accidental damage though dropping, spillage, etc. 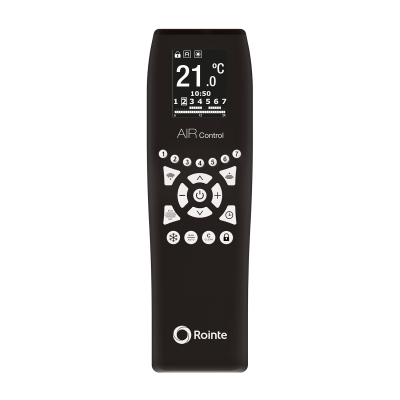 Program your Rointe radiators, towel rails and water heaters and replace the remote in its cradle, so it is always to hand, and ready for use. 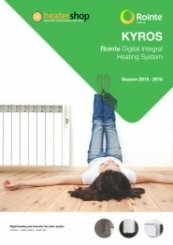 The AIR Control infrared remote control stems from the need to integrate in one device control of all products that make up the KYROS Series heating systems as well as being interchangeable to use within the K series. Its ergonomic design is perfectly suited to any user and has easy to use keys. Made of polycarbonate flame retardant of high resistance to impacts, with an elegant design of 21 mm in depth for comfortable operation. 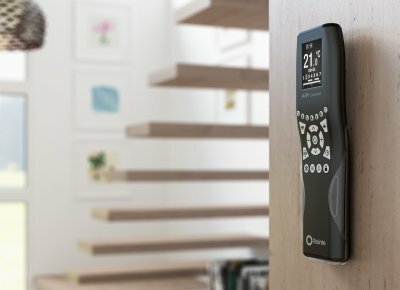 Transparent wall bracket - a functional accessory that allows the remote control to always be in the same place and avoiding dropping or losing it. Latest generation TFT display 1.77" screen and high contrast for optimal viewing from any angle of vision. Bi-directional wireless connection enables programming that, once sent to the product, can be received and copied into another product. Composed of 20 keys divided into three zones, scheduling, power and auxiliary functions. Includes 2 pre-installed AAA alkaline batteries (1.5 V). 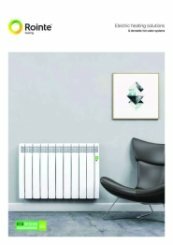 Will a heated towel rail heat your bathroom? 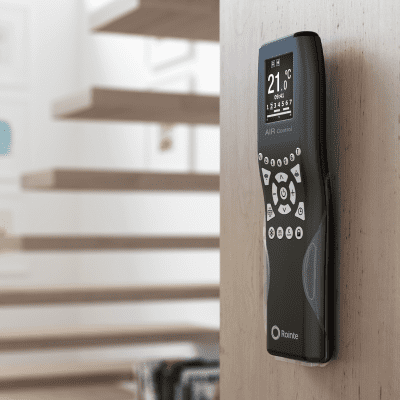 Do the Rointe Kyros Remotes work with the Rointe Delta Electric Heaters? 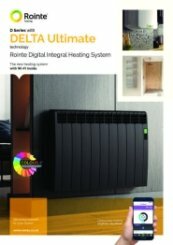 Yes, however the Rointe Delta is also WiFi compatible - meaning you can with easily connect your smart phone or tablet to the Delta radiators and towel rails to program via the free Rointe Connect app.